Aquatic nuisance species (ANS) pose a significant threat to Colorado’s waterways. These species can cause considerable damage to water infrastructure, lakes, rivers, and wildlife. As anglers, it is important for us to recognize that the “Clean, Drain, and Dry” slogan doesn’t just apply to speedboats and Skidoos. We spend considerable time in and near bodies of water in this state, and that means we need to be very careful how we clean and dry our own equipment. Fortunately, every time we head to the river or sit in the blind, we don’t have to wait in line to get cleared by a CPW inspector, or carry around white tags that confirm our wading boots are clean. But with this freedom comes great responsibility. Just before a recent conservation project, CTU was asked by a volunteer, “what is the best method is to ‘decontaminate’ my waders?” Surprisingly, the answer to the question wasn't straight forward because there are various techniques that can sometimes work better than others based on various conditions. So we at CTU decided to provide the most recent information we could find on the ANS threats in Colorado, where they exist, and the best methods to prevent their spread. A parasitic condition that affects the soft cartilage of young fish – eventually leading to deformity and possible death. The parasite will reproduce in two stages: first, it will infect a host (usually a common bottom-dwelling tubifex worm); and second, it will release spores from the infected host (through the water or if a fish eats the worm) that will cling to susceptible fish. WD was discovered in Colorado in the 1980s and now exists in 20 states around the country. 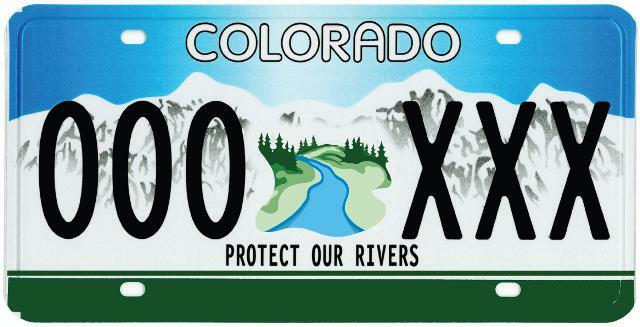 It has been found in 13 of the 15 major river drainages in Colorado, including the: Colorado, Gunnison, South Platte, Arkansas, and Rio Grande, as well as a number of state hatcheries. WD typically spreads through infected hosts (usually fish) that are introduced into new water. Hatcheries in Colorado are beginning to successfully eliminate it from their operations and have strict stocking policies in place to prevent the spread of WD. The tubifex worms and spores can be carried on equipment and debris that is transported from one body of water to another. Native to Eastern Europe, these mussels have no natural predators in the United States and can reproduce rapidly. Heavy infestations can clog water infrastructure and displace native aquatic wildlife. After being discovered in the Great Lakes in 1988, major initiatives have been put in place to keep these ANS from infecting major lakes and reservoirs in the West. There are currently no waters in Colorado with confirmed populations of Quagga or Zebra Mussels. That being said, there have been some occurrences where larvae was discovered at: Pueblo Reservoir State Park, Granby Reservoir, Grand Lake, Shadow Mountain Reservoir, Willow Creek Reservoir, Tarryall Reservoir and Jumbo Reservoir, Blue Mesa Reservoir, and (recently) Green Mountain Reservoir. These mussels are spread primarily by trailered watercraft, but can also be spread by boats, equipment, waders, boots, bait buckets, and live wells. These snails are voracious eaters that can reproduce rapidly – negatively impacting insect larvae, native snails, and fish populations. New Zealand Mudsnail was most recently discovered in Chatfield Reservoir in 2015. 2013 - Fountain Creek in Colorado Springs. 2011 - East Delaney Buttes State Wildlife Area and College Lake, CSU, Fort Collins. 2010 - South Delaney Buttes State Wildlife Area, and two sites within the City of Boulder along Dry Creek. The invasive snail was first found in Colorado in 2004 in Boulder Creek, the South Platte River below Eleven Mile dam and the Green River in Dinosaur National Monument. This snail clings to waders, boots, boats, dogs, and any other gear that enters the water or can hold debris. The Mudsnail can produce asexually, meaning that even one individual can start a whole infestation. Please do your part to help keep these harmful species out of Colorado’s waterways by keeping your gear clean and educating others. Below are the best practices for preventing the spread of invasive species with input from Colorado Parks and Wildlife, Orvis, and Simms. INSPECT – be sure to visually inspect all of your equipment for mud and debris that can carry ANS. CLEAN – be sure to scrub and remove all mud and debris from your equipment. DRY – most ANS cannot survive extend periods of time out of the water, so make sure you dry all of your gear in-between trips. Hot Water Bath – after removing all debris from gear, place in hot water (140° F) for at least 10 minutes. Chemicals and Detergents – submerge gear in a quaternary ammonia-based cleaner (6oz/gallon of water) for at least 20 minutes. NOTE: Do NOT use bleach-based cleaners (i.e. 409) on your waders, as the chemicals will corrode the waterproof materials on your equipment. Simms recommends using a mild powder detergent with as little added fragrances or fabric softeners as possible. Freezing – most ANS cannot survive extremely cold temperatures, so freezing gear (in a bag) overnight can be effective. Drying – All gear should be dried as much as possible before being used again, but from a decontamination standpoint, equipment will need to dry for at least 10 days (note: some snails can survive for longer periods of time out of water).